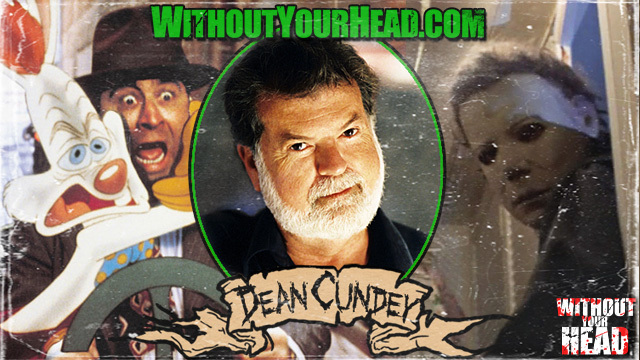 Dean Cundey joined us for an hour interview covering his career including Jurassic Park and Who Framed Roger Rabbit. His work with John Carpenter on the Halloween Films, The Thing and Escape From New York. Dean went over his many films and how he got into the business. We talked about his innovations on the industry with such films as Jurassic Park and Who Framed Roger Rabbit. His work with John Carpenter on the Halloween Films, The Thing and Escape From New York. This and so much more, please listen now. We mention it I believe. Great film. Dean was a great guest, that was a highlight of the show to have him on. Dean speaks pretty fondly of Roger Rabbit. Judge Doom use to scare me when I was young. . It really is a great film, one of the coolest things I ever saw at the time. I still remember seeing Jurassic Park for the first time, it was awe inspiring seeing the T-Rex scene. It was a very scary film to be honest as well. Listened to your interview with Dean Cundey. It was so nice to hear professionals interviewing a professional. you guys did a great job. I really enjoyed it and look forward to your future interviews. Keep up the great work. Its not only a great story, bloody innovative as well. I'll be honest I fell asleep early on (I was almost hallucinating when I turned on!!) will listen to the rest later tonight. 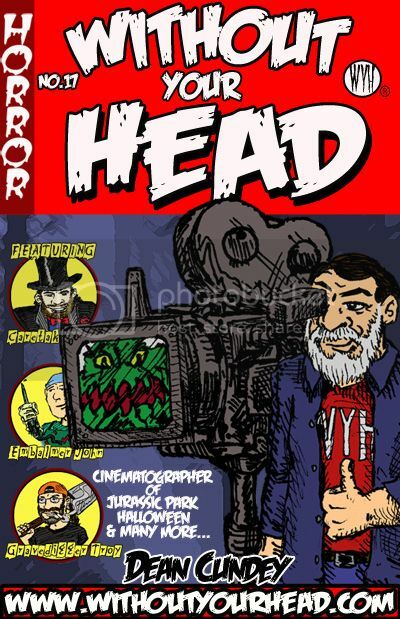 Great interview with Dean Cundey. I thoroughly enjoyed listening to it. I met him back in 2003 & he was very nice & extremely interesting to talk to. Fantastic guys. I loved that interview. Really impressed with how far you guys have gone with the show. This is a big time interview boys. Yo straight up that was the motha f'n bomb. Big ups to the crew for gettin Cundey on. That was mad cool. Without Your Head © 2005-2016. Powered by Tyler's Engine v1.31. Page generated in 0.03 seconds with 17 SQL queries.